Shane and Shane have been part of the Fair Trade Services artist roster for quite some time. Sharing the label with other well-known artists like Phil Wickham, MercyMe, The Afters, Sara Groves, Hawk Nelson, Micah Tyler, Newsboys and Jasmine Murray to name a few, Shane Barnard and Shane Everett (known professionally as Shane & Shane) have made themselves a name within the CCM industry as one of the most emotive and enjoyable duos to deliver humble acoustical worship music as referenced by much of their discography on both Inpop Records and Fair Trade Services. Yet not too long ago, Shane and Shane decided to undertake something unique and different, that no other worship group or movement have ever done before- create an online tool of worship songs and resources that can be used by worship leaders and lovers of worship music, or anyone just wanting to learn new worship music on their preferred instrument of their choice- funded through kickstarter, Shane and Shane undertook the release of 10 albums of 10 songs titled ‘The Worship Initiative’. Coupled with these albums, were resource kits online where both Shane’s delivered material to be used by churches and aspiring musicians worldwide. With these albums under the umbrella of The Worship Initiative featuring worship songs that are popular today, alongside those of yesteryear, The Worship Initiative, all 15 volumes (Vol. 15 dropped on iTunes a few days ago) are a must have for anyone who enjoys worship music, wants to learn something new, or just enjoys Shane and Shane and their harmonisation on their music. Even if you haven’t contributed to their kickstarter campaign, the songs can still be enjoyed either on Spotify or either through purchase on iTunes or Amazon. Even though the last three volumes (13, 14, 15) are all EP’s as opposed to the duo’s previous Worship Initiative Volumes that were full length albums (12 and preceding); the quality of these EP’s is nothing short of emotive, heartfelt and encouraging, as Shane & Shane deliver arrangements of well known songs that are just as compelling as the original recordings, often at times even more so. Glancing through the 5 tracks (the only complaint is that the EP is a tad too short- once we get into the EP, it finishes in a hurry), we see songs that have been circulating through many churches around the world of late. Take ‘Christ is Enough’ for example. Written by Hillsong Worship, this song, that is approximately 3-4 years old, is a declaration that Christ and Christ alone ought to be enough for us, to satisfy our hunger and longings that this world cannot satisfy. Christ and who He is, and what He has done in our place so that we don’t have to, ought to be enough for us to place all of our trust and confidence in. That ‘…Christ is my reward, all of my devotion, now there’s nothing in this world, that could ever satisfy…’ And the message of our firm trust in our Father who has sacrificed everything for us to return back to Him is beautifully and poignantly crafted through a song that I reckon is perhaps one of Hillsong Worship’s most underrated in recent memory. The harmonisations of both Shane’s are great as usual, while the instrumentation stays very much similar to the original recording that was originally presented live on Hillsong Worship’s 2012 annual album Cornerstone. To be frank, almost every song on this EP sounds strikingly similar to their counterparts from the original artists- these renditions aren’t that different to the originals…and maybe that’s a good thing. Shane and Shane are reliable worship artists and leaders- and this 15th Worship Initiative is a tool for us to use to learn new worship songs for the church (then again, ‘Christ is Enough’ is a few years old, yet because it isn’t necessarily a well known worship song, the track itself can be relatively new to some listeners!). Shane and Shane also present to us songs that have been familiar to us over the years; and give us guest vocals as well. Out of the remaining four tracks on this 5 track EP, only a further one (‘Reckless Love’, originally by worship leader Cory Asbury) are led by Shane & Shane, the rest are presented by different artists, most of whom are unrecognisable to myself, yet could become popular in the future. Sam Deford lends his voice to the Phil Wickham powerful classic, ‘Your Love Awakens Me’, while Dinah Smith, who sung alongside indie worship artist Erik Nieder on a song on his 2015 album The Valley of the Shadow, carries ‘Tremble’ alone (originally by Mosiac MSC) and does a great job at it (maybe even better than Michaela McManus who sung the original!). ‘Resurrecting’, a song that is making waves on the radio right now (and originally by Elevation Worship, who also penned ‘O Come to the Altar’), is also given the cover treatment by Shane & Shane, this time their good friend Ross Fishburn (who is also on the board of the Worship Initiative website and online toolkit) carries the song. At the end of ‘Resurrecting’, I am confident that this track will be as big as ‘O Come To the Altar’, maybe even more of a hit in the upcoming months…maybe that means the track is a shoe-in on WOW Hits 2019? The Worship Initiative Vol. 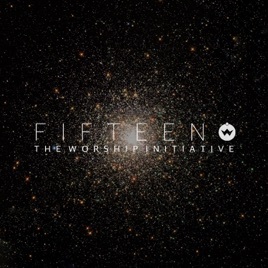 15 is a must have for anyone who appreciates and enjoys worship music; and enjoys listening to cover tracks that are as comparable, maybe even more so, compared to originals. Dare I say that Shane and Shane are even about to rival Phillips, Craig and Dean as the group of all groups who create great worship covers? Because maybe, just maybe, Shane and Shane have the edge. In fact, they do. With 12 albums and 3 EPs full of popular worship songs under their belt, Shane and Shane and their ministry at equipping churches around the world with songs that encourage and impact, show us just how committed they are to their ministry. While the duo may not be publicised in radio as much as before, their passion and heart are still present and infectious, as every song on Worship Initiative Vol. 15 oozes over enthusiasm and encouragement, as some, if not most, of these songs on this EP have been some of my favourite worship songs I’ve heard within the last few years! Well done Shane and Shane for these songs, can’t wait for The Worship Initiative Vol. 16, whenever it arises!